Ut Queant Laxis time soon! HE 24TH OF JUNE is the feast of the Nativity of St John the Baptist. It falls three months after the Annunciation and six months before Christmas. I’ve written more about the feast day over there. The vespers hymn is very famous for being the source of solfege. 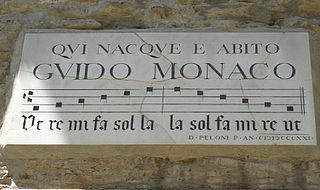 Guido d’Arezzo chose the first syllables of each line to represent the pitches of a diatonic scale. They were “Ut, Re, Mi, Fa, Sol, La”. Later the Si was added (short for Sancte Ioannes) which some change to Ti, and Ut became Do to be easier to sing. The first stanza has been translated as: “That thy servants may be able to sing thy deeds of wonder with pleasant voices, remove, O holy John, the guilt of our sin-polluted lips” (The Hymns of the Breviary and Missal, Rev Matthew Britt, OSB). It reminds me of our prayer before choir practice Let my mouth be filled with thy praise, in order that I be able to sing; my lips will rejoice for as long as I sing unto thee. And tying in with previous videos on using using Illuminare Score Editor and the Propers Tool, here is a video on using the Hymn Tool. After that I added in the brief translation from CPDL. Click here for the finished pdf. And utqueant.gabc is the gabc code ready to be pasted into Illuminare Score Editor.